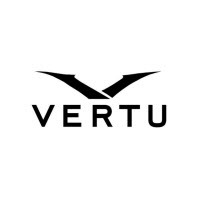 VERTU is a luxurious handmade smartphone company founded by Finnish smartphone maker Nokia in the year 1998. Nokia company sold the Vertu company to the private equity company EQT VI on Oct 2012 for an unspecified amount. The Vertu company launched in Jan 2002 and its 1st collection available in the market from the next year. The companies flagship mobile model “Signature” launched in the year 2003. Get more about the Vertu Phones from here. The Vertu Signature mobile phone Keypad contains 5 carats of ruby bearings. The Vertu company other models are Vertu Ascent Mobile, Vertu Constellation Classic Mobile, Vertu Constellation Ayxta Mobile. The Ascent Vertu mobiles are designed lightweight & durable. The Ascent phone made of titanium & aluminum with the vulcanized rubber & leather. The Classic Vert mobiles are very simple and it is a small handset. Ayxta Vertu mobiles are the flip mobile phones and come to the market with numerous variants & colors. Vertu mobile company also made the limited edition mobile phones in cooperation with the Bentley & Ferrari. The Signature Touch mobile launched in 2015, is the last version of the Vertu mobile which the company collapsed in the year 2017.